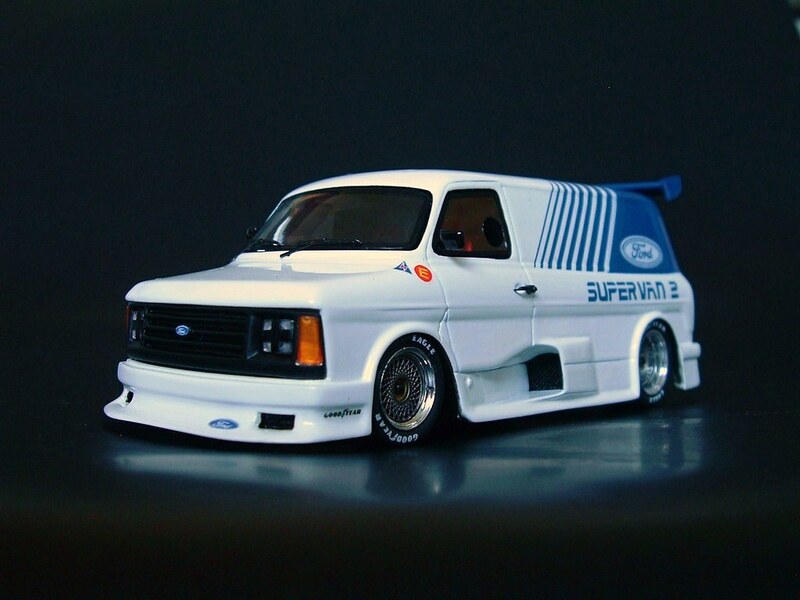 I love 1/43 almost as much as Hotwheels & Matchbox & have over 700. 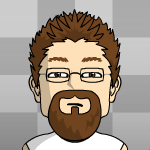 Start with a few of my favourites, feel free to add yours. 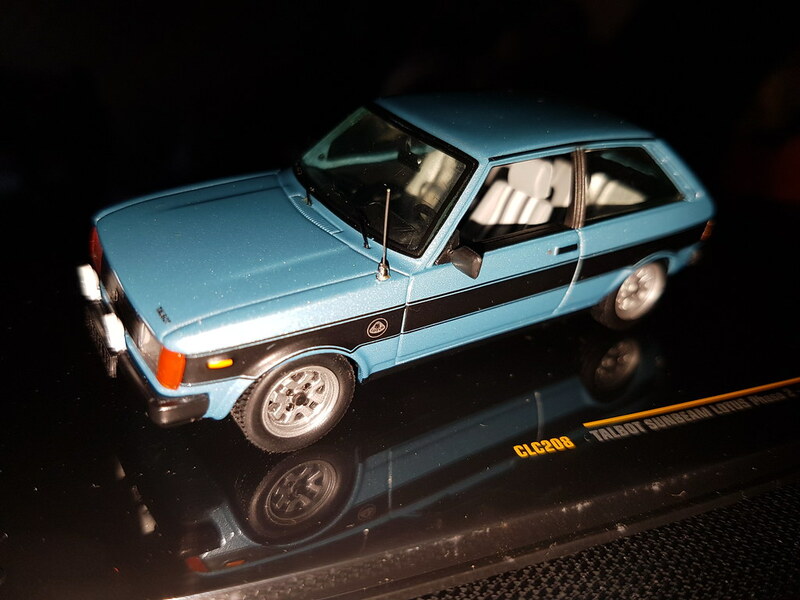 I’ve literally just started a 1/43 collection. 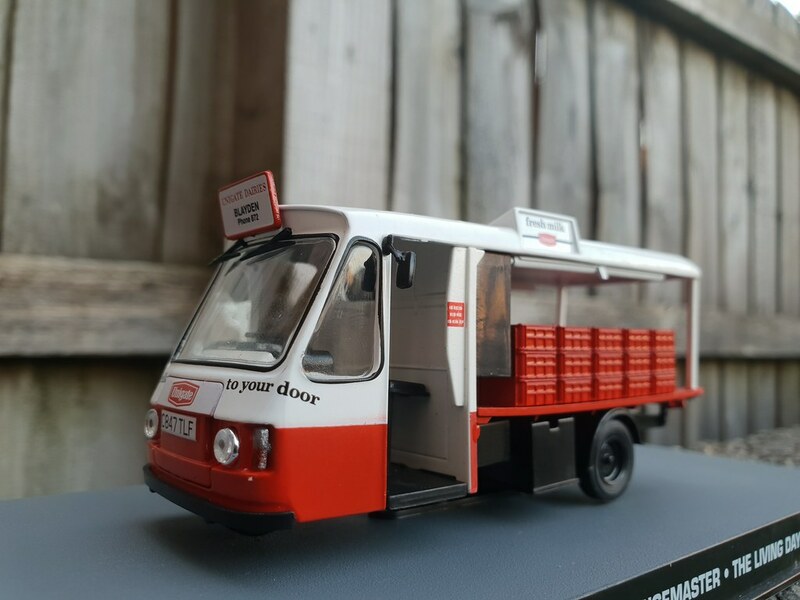 Got quite a few 1/18s and loads of 1/25 plastic kits but I’ve found the variety, not to mention cost, and ease of storage is far greater in 1/43. 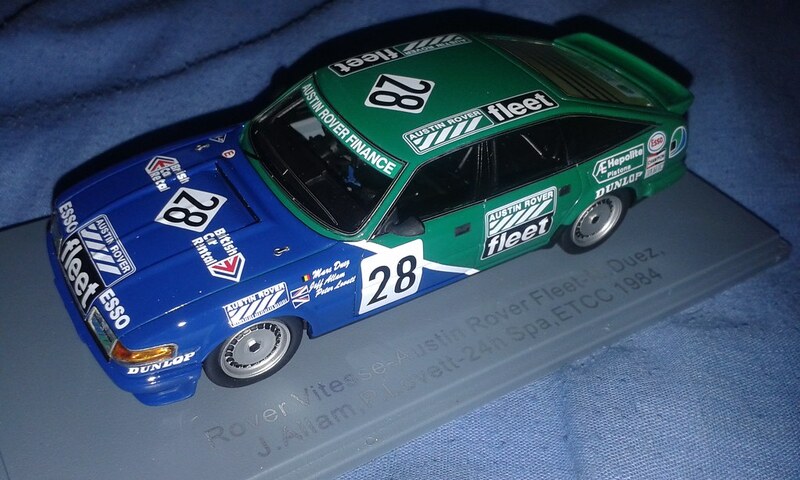 Like the Sunbeam, I've got a Tony Pond rally version (goes with the TR7 V8 and Metro 6R4). 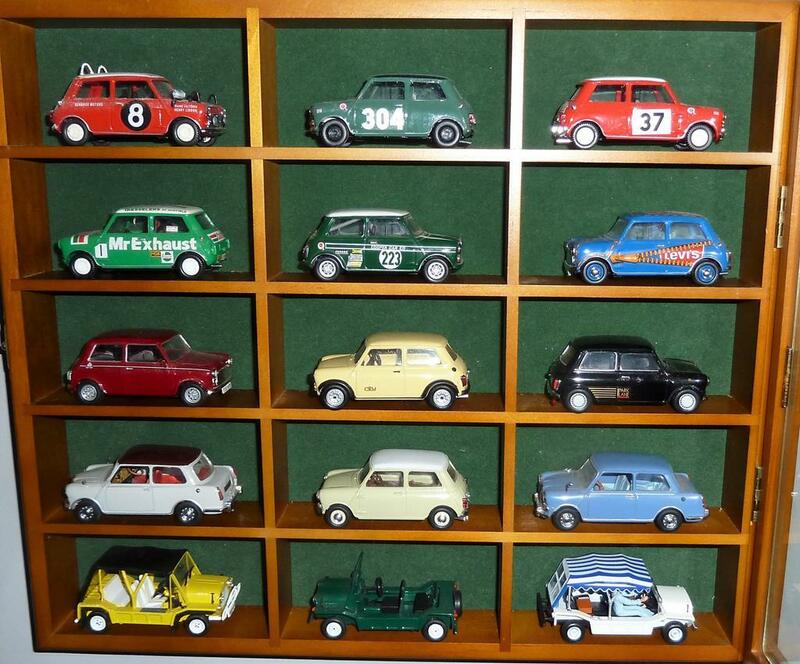 That really is quite some collection of 6R4's, makes my collection of 1/36 Corgi minis look pointless! 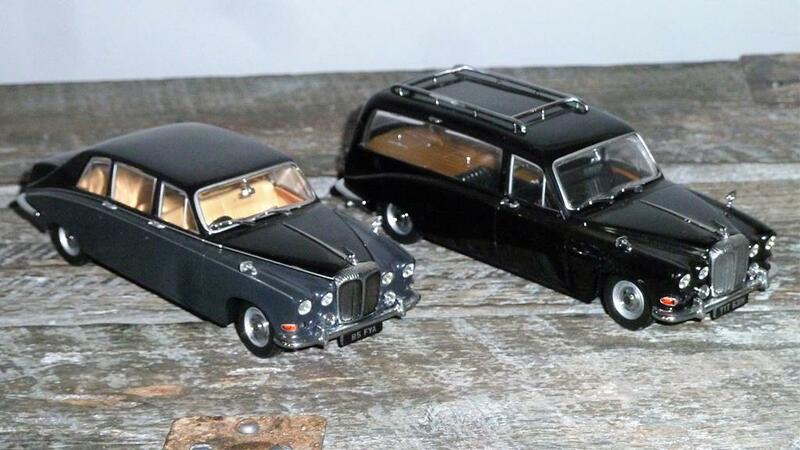 DS420 Limo and Hearse. Absolutly had to have them as soon as they were released. 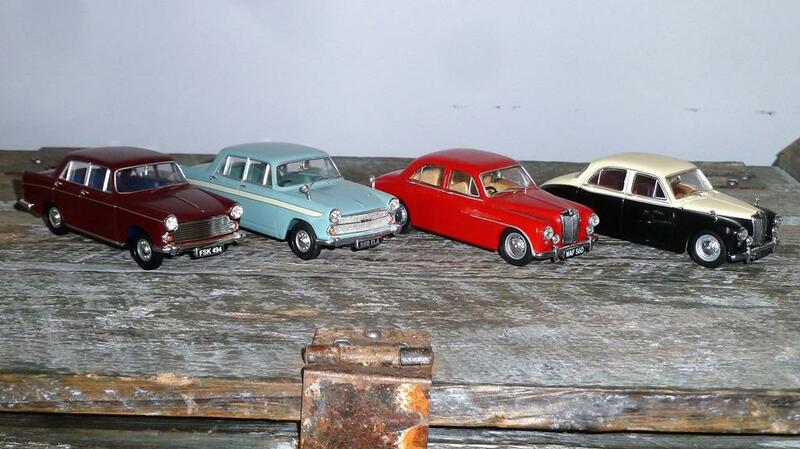 Morris Oxford, Austin Cambridge, MG ZA Magnette, MG ZB Magnette. 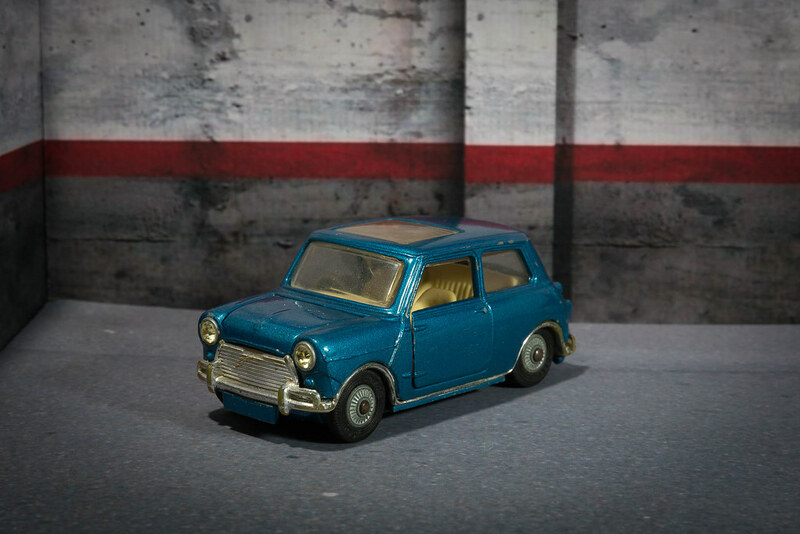 Spark Broardspeed Mini. 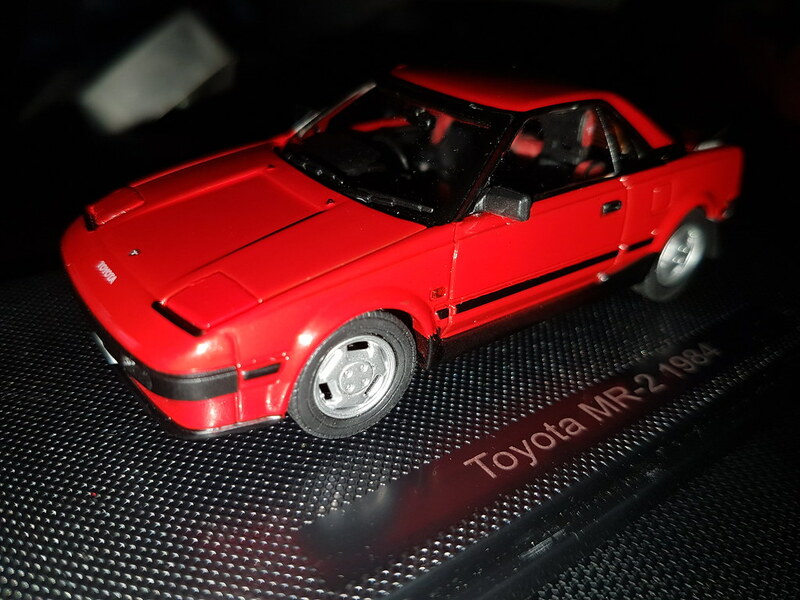 Ive always liked the shape of these, but spark models are generaly quite expensive. Not this one, and its not even been unwrapped. 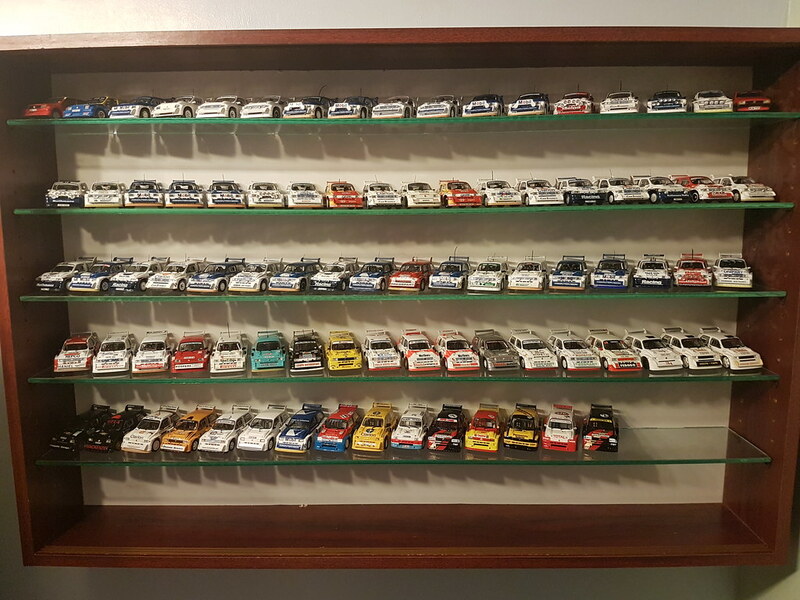 Some of my BTCC collection. 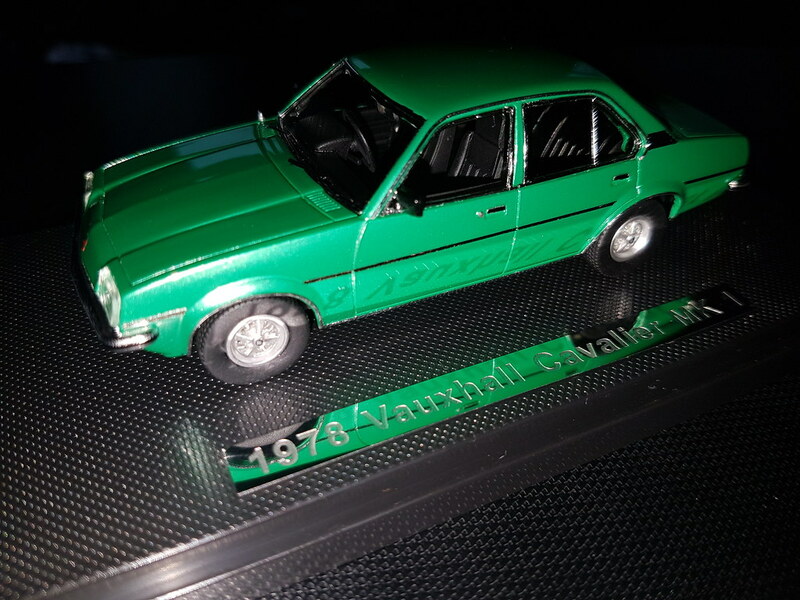 I have afew more 1/43's, but these are the favourites. Not as many as some people I know, I have a few to build. 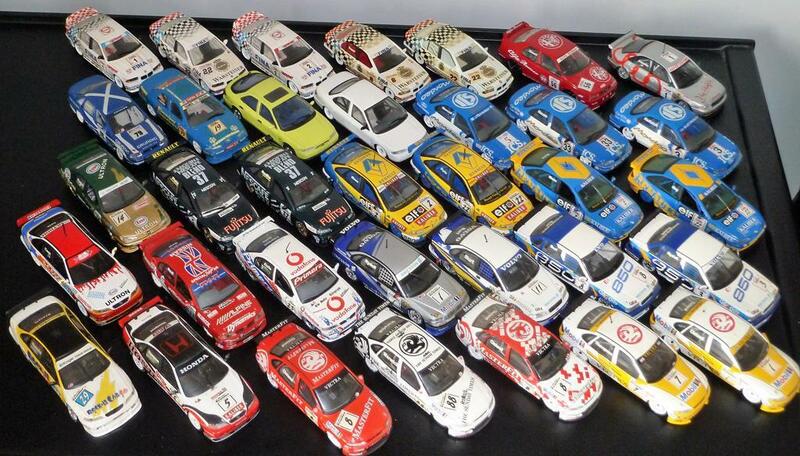 Nice collection, love the BTCC cars. I don't have that many. 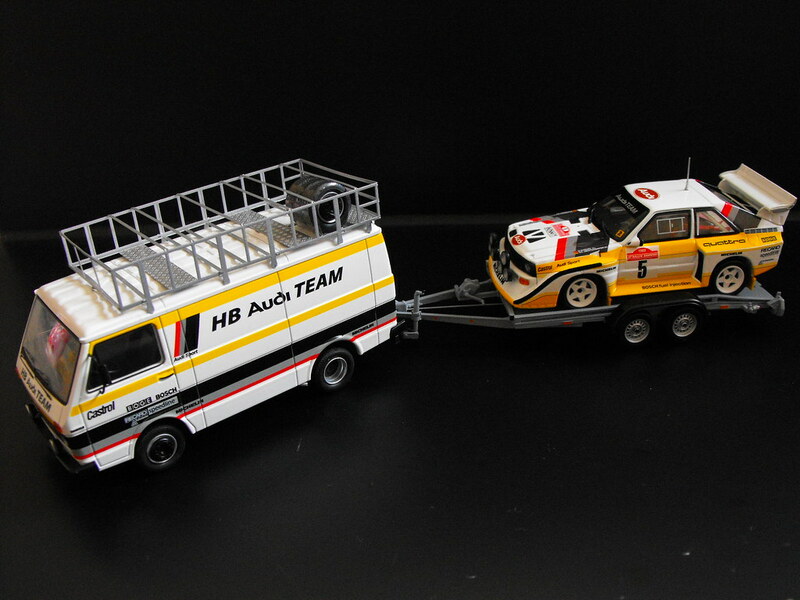 I often feel like i should have gone for 1/43 or 1/24 scale rather than 1/18 as they take up so much space. 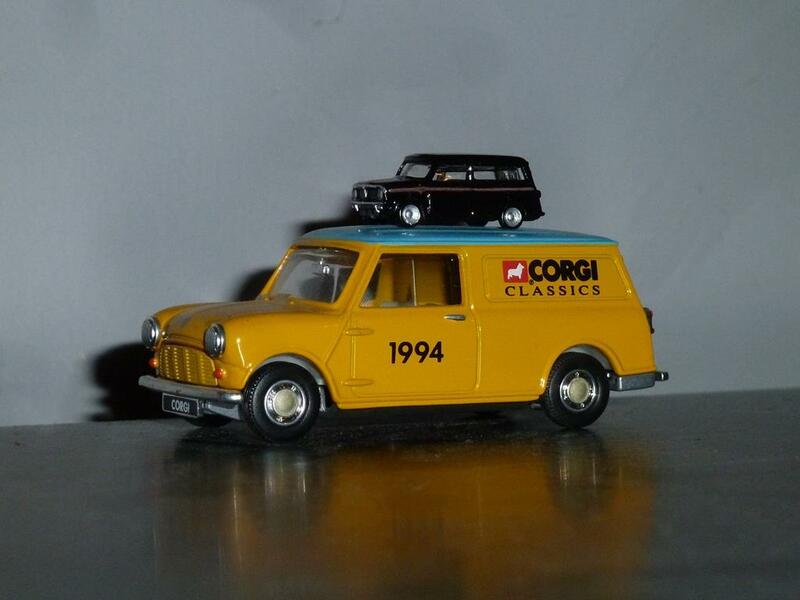 Some 1/43 Minis from Corgi and Vitesse. Some real rarities in there. 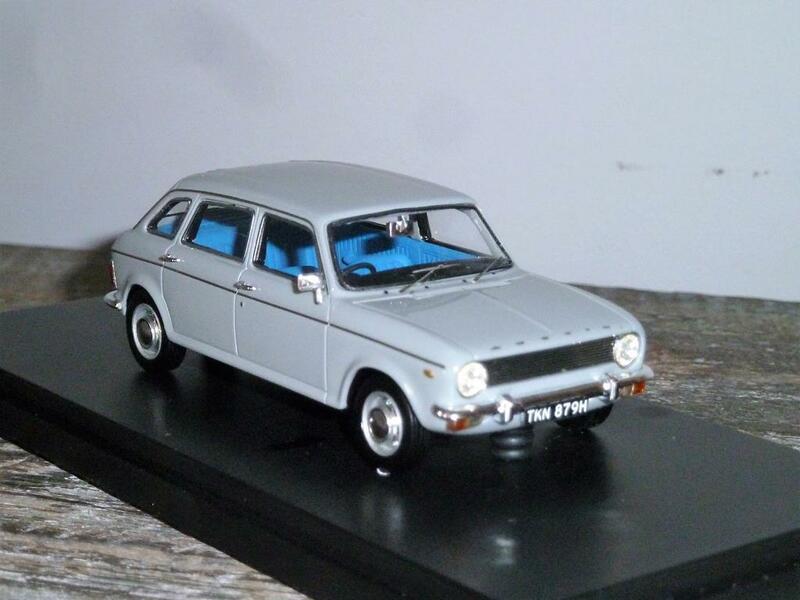 And a 1/130 Clubman Estate sitting on top of a 1/43 Mini van. 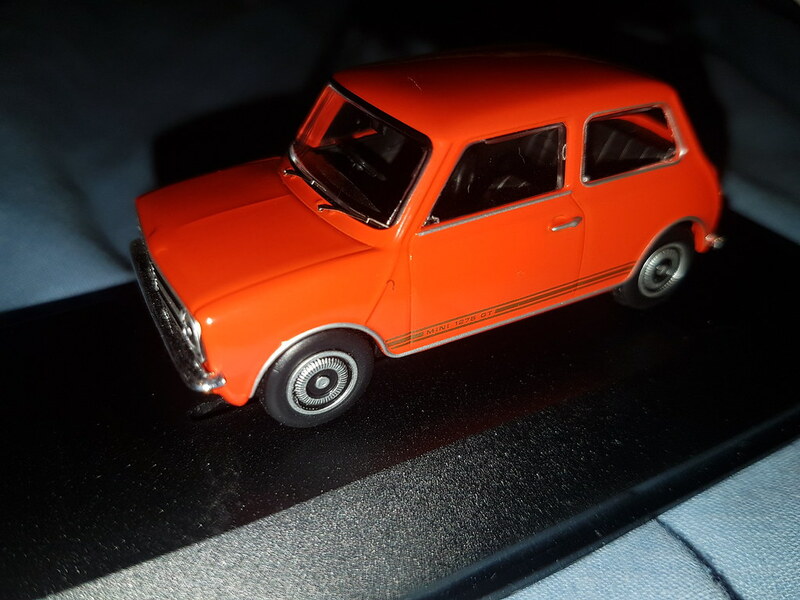 Dispite it being tiny its very well modelled, I remember seeing these years ago at a couple of mini shows but didnt take any interest in them as I was more interested in 1/43 so I had no idea how good they were. They are made by a Japanese company called Model Planning. 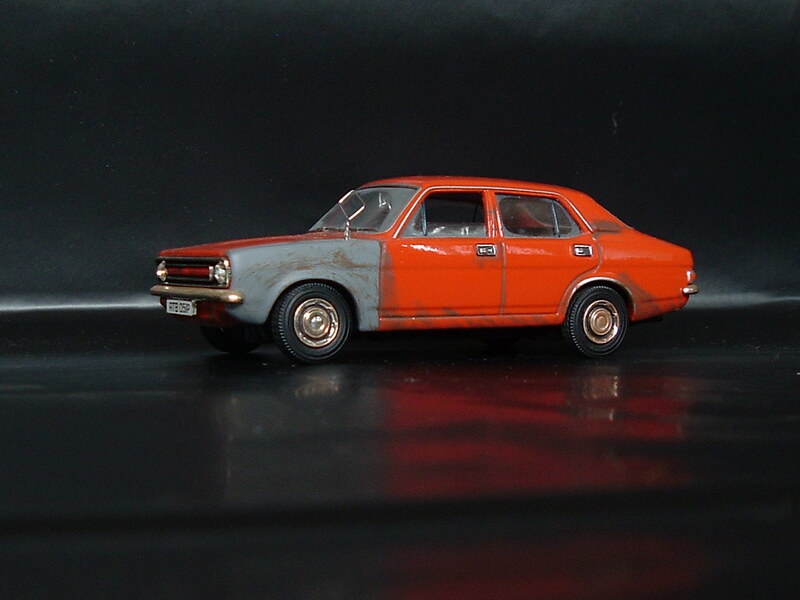 They also did saloons, travellers, wolseley hornets, convertables, Mini marcos. All are quite hard to find now. 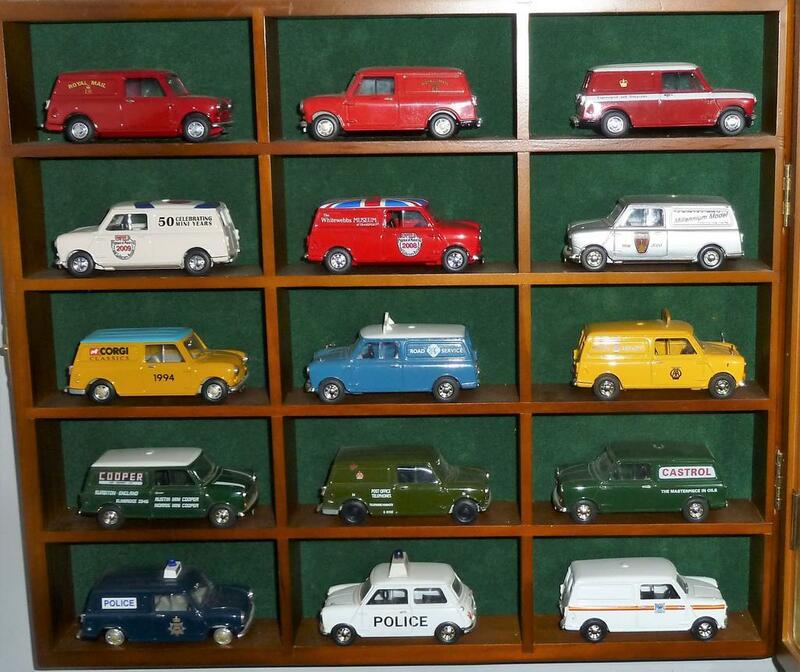 Impressive collection, I've got a Corgi Mini Magnifique from the late 60's, unfortunately not MIB. 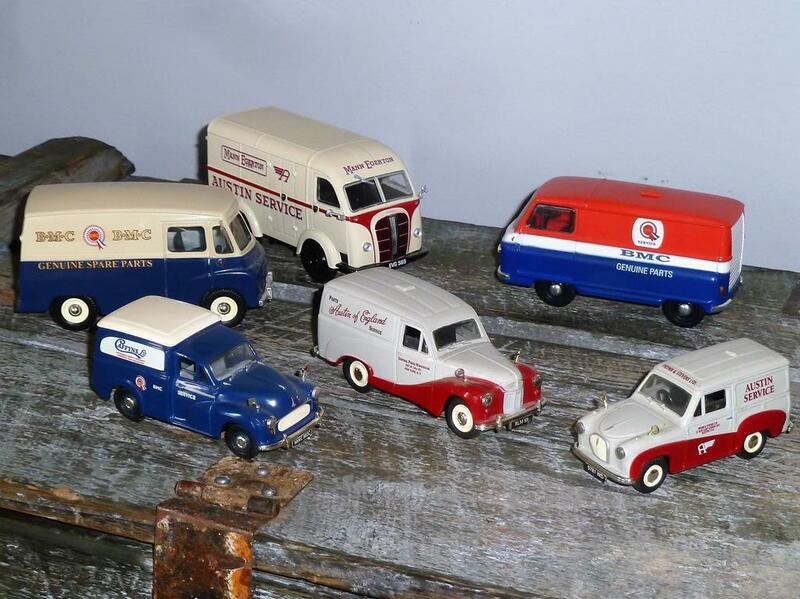 Cheers, they were all bought from about 1994-2000 at mini shows and classic car shows, some were free, most were £5 and a coupe may have been £10. Ive still got the boxes for most of them. 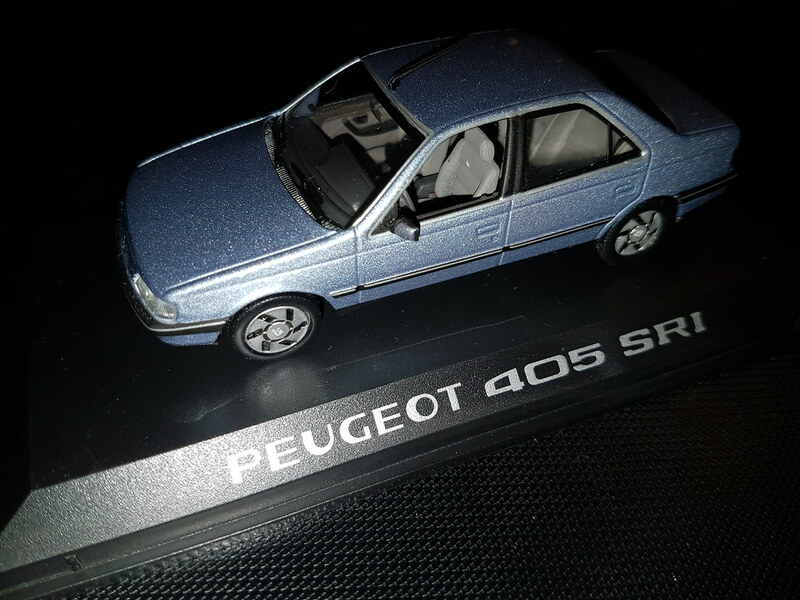 The magnifique can fetch quite abit mint boxed. The magnifique can fetch quite abit mint boxed. 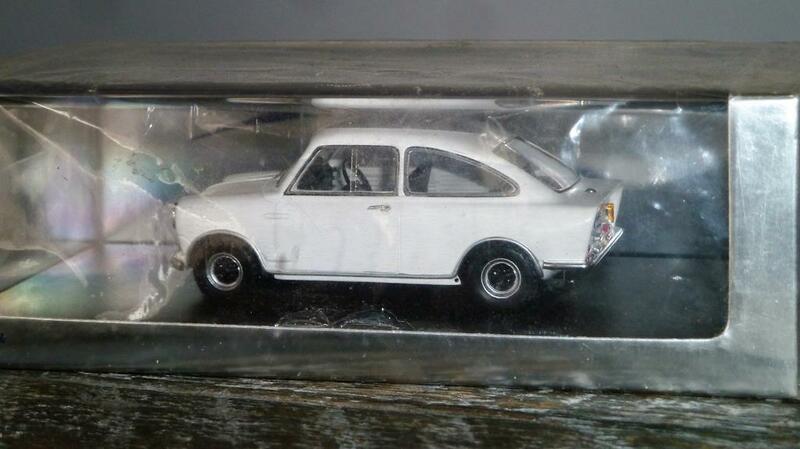 Here's mine, not boxed but in 'fair' condition. Prices seem to range from £7-£90. 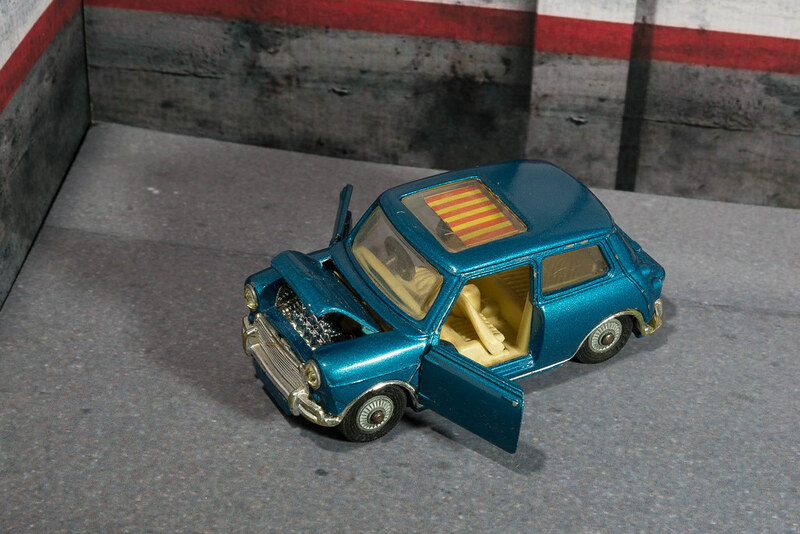 Opening doors, bonnet & boot, sliding sunroof and tilting seats.